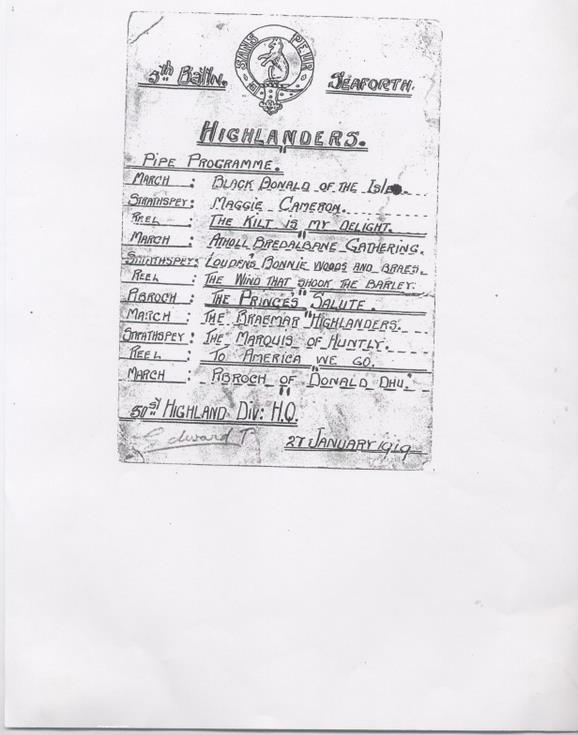 Photocopy of front (a) and back (b) of a programme of pipe music performed by the 5th Battalion Seaforth Highlanders at the 51st Highland Div HQ in Belgium on January 27th 1919. Names of some of the pipers listed on reverse. 2 copies of each side.